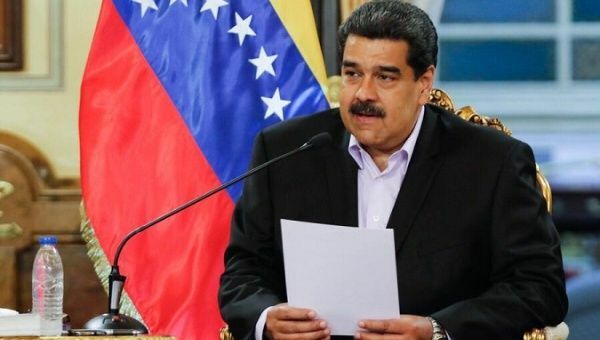 2019-01-30: News Headlines | Hands Off Venezuela! Paul Jay (2019-01-30). Video: Trudeau Pushes Trump's Regime Change in Venezuela. Canada Violates the UN Charter. 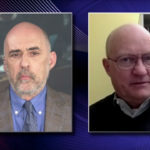 globalresearch.ca Why is Canada violating the UN Charter and leading the way for regime change in Venezuela? Paul Jay and Yves Engler join Sharmini Peries. | *** | SHARMINI PERIES: It's The Real News Network. I'm Sharmini Peries, coming to you from Baltimore…. Dan Cohen (2019-01-30). The Making of Juan Guaidó: How the US Regime Change Laboratory Created Venezuela's Coup Leader. globalresearch.ca Juan Guaidó is the product of a decade-long project overseen by Washington's elite regime change trainers. 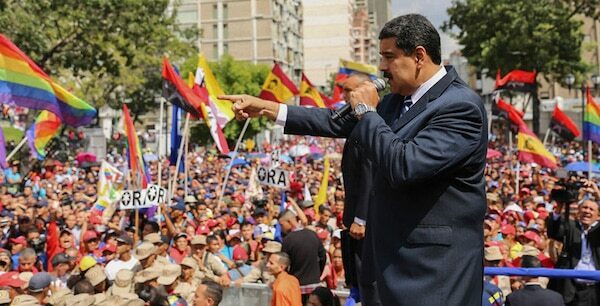 While posing as a champion of democracy, he has spent years at the forefront of a violent campaign of destabilization. STAFF (2019-01-30). Why Is Justin Trudeau Backing Trump's Coup in Venezuela? truthdig.com The U.S. is prepared to violate the U.N. charter to overthrow the Maduro government, and it has found a willing partner in Canada. Democracy Now! (2019-01-30). As U.S. Moves to Oust Maduro, Is Invading Venezuela Next? Allan Nairn on Trump's Attempted Coup. democracynow.org The United States is continuing to ratchet up pressure on the Venezuelan government in an attempt to topple President Nicolás Maduro. On Tuesday, the State Department announced it is giving control of Venezuela's U.S. bank accounts to opposition leader Juan Guaidó, who declared himself to be president last week. 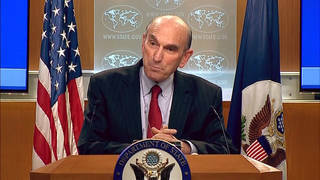 Meanwhile, the U.S. has also refused to rule out a military invasion of Venezuela. We spend the hour with prize-winning investigative journalist Allan Nairn. Democracy Now! (2019-01-30). A War for Oil? 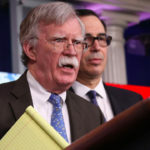 Bolton Pushes Privatization of Venezuela's Oil as U.S. Ratchets Up Pressure on Maduro. democracynow.org As the Trump administration continues its attempt to oust Venezuelan President Nicolás Maduro, the U.S. has imposed a de facto embargo on oil from Venezuela's state-run oil company. The new sanctions include exemptions for several U.S. firms, including Chevron and Halliburton, to allow them to continue working in Venezuela. We speak with prize-winning investigative journalist Allan Nairn about the push to privatize Venezuela's oil. aljazeera (2019-01-30). 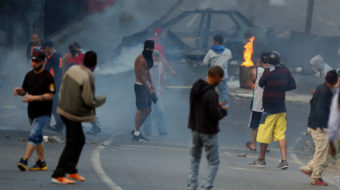 Venezuela in crisis: All the latest updates. 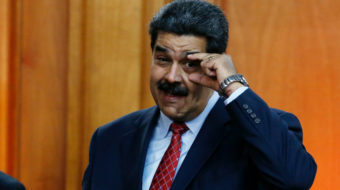 aljazeera.com Latest updates as Venezuela plunges into a major crisis amid a growing row over Nicolas Maduro's presidency. Garikai Chengu (2019-01-30). Sanctions of Mass Destruction: America's War on Venezuela. globalresearch.ca From the first moment Hugo Chavez took office, the US has been trying to overthrow Venezuela's socialist movement by using sanctions, coup attempts, and funding the opposition parties. After all, there is nothing more undemocratic than a coup d'état. Paul Dobson (2019-01-30). Guaido Continues Diplomatic Efforts as Venezuelan Courts Open Proceedings against Him. 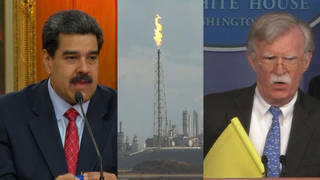 venezuelanalysis.com Local and international authorities have also reacted fiercely to the recently announced oil embargo, describing it as "illegal." Joe Emersberger, MintPress News (2019-01-30). When Is a Democracy not a Democracy? When It's Venezuela and the US is Pushing Regime Change. venezuelanalysis.com Joe Emersberger looks at the US-led intervention efforts in Venezuela and the rationale behind them. Know History (2019-01-30). Trump's, Pompeo's, Bolton's, The CIA's and Pentagon's Heinous Violence Toward Venezuela. 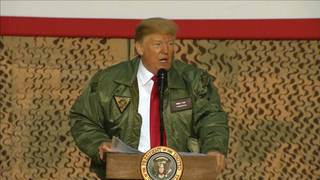 indybay.org Trump continues the illegal violence directed by the CIA and White House against Venezuela as the CIA has violated Cuba, Guatemala, Honduras, Chile, Dominican Republic, Nicaragua etc since 1947, as our government has violated S and Central America since they achieved independence from Spain. WSWS (2019-01-30). Germany and EU support US-engineered coup in Venezuela. wsws.org Berlin and Brussels are backing the Venezuelan coup because they are pursuing their own imperialist interests in Latin America. Posted on January 30, 2019 by J.